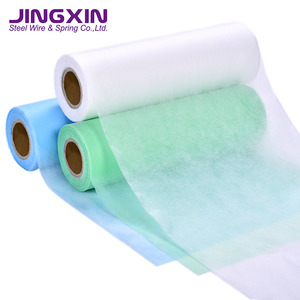 Foshan Nanhai Lishui Jingxin Steel Wire & Spring Co., Ltd.
Guangdong Synwin Non Woven Technology Co., Ltd. Various special treatments (such us anti-slip, anti-UV, anti-bacterial, fire retardant, hydrophilic, etc) are processable. Fabric made from imported raw PP material, endorsing extraordinary fabric strength and elongation. 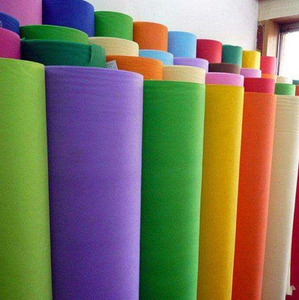 4) Are you a manufacturer9 --Yes, we have our own factory and we have been manufacturing non woven PP fabric for more than 20 years. Tube 2 or 3" 3). Each roll per ploy bag 4). 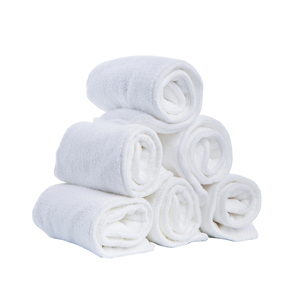 Sunshine International Co.
is an enterprise which professionally manufactures and sells all kinds of nonwovens and nonwoven related items. 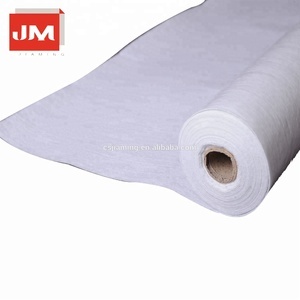 Our products include all kinds of nonwovens roll materials and a wide rang of nonwoven related items. Quality productions and excellent services from our mature foreign trade team work. 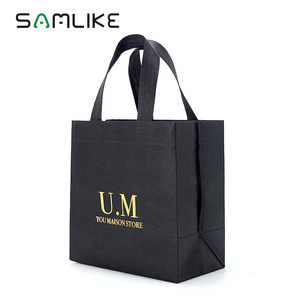 30-60grams non woven pp bags/cloth bag making material/Various colors non woven t-shirt bag Our advantages!!! 1. Professional sales team, we serve our customers 24*7. 2. Products: Competitive advantages products. 5. Open new line: 1.6 m /1.8m / 2.4m / 3.2m 6. Free samples --- one day delivery/ Owned factory 7. 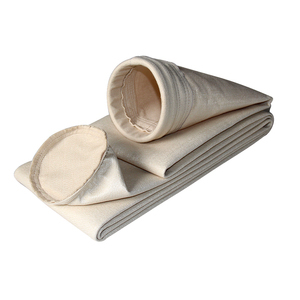 Niche market: European countries and South & North America ------------ GOLDE NONWOVEN ------------ GOLDEN NONWOVEN ------------ 1. Size/Handle size: customized 2. MOQ: 10000pcs 3. Packing: 1000pcs/carton 4. Delivery time: 10-30days after sample customized 5. 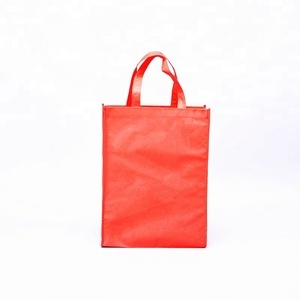 Application: suitable for shopping, promotion, gifts or advertisement 6 . Q2: How to buy the products which you want9 A: Contact with us and inform the website link in which there are the product you are interested in. Q3: How can I get a sample to check your quality9 A: After confirmed the price, you can require the sample to check our quality. Q4: How to confirm the quality with us before start to produce9 A: (1)You can get a sample and choose from it, then we make the quality according to that. 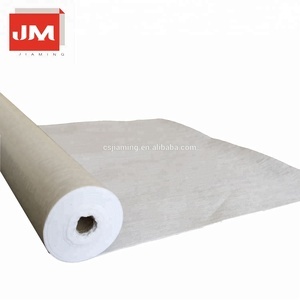 Jiangmen Xinhui Manicye Non-Woven Fibre Products Co., Ltd.
Dongguan IUIU Household Products Co., Ltd. 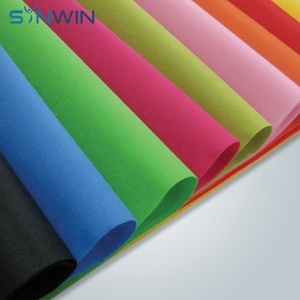 In environmental protection, the majority of currently used non-woven raw material is polypropylene, and plastic raw material is polyethylene, although the names of two substances similar in chemical structure but are very different. Flexibility of products is 3. 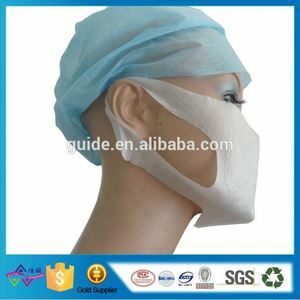 Water resistance and breathability: slices of Polypropylene and finished products resist water, breathable and easy to maintain and wash. How can I know the nonwoven fabrics&rsquo; can reach the requirements of tests I need9 Our nonwoven fabrics are sold all over the world for many famous brands, which generally passed all national tests. These products are in compliance with the current international norms, and are used to fulfill the needs of various industries. Our products are mainly used in mechanism, electromechanical, chemical industry, cement and textile industry, and can also be used for marble, stainless steel, precision polishing furniture, aircraft, cars, trains, ships, machine tools against dust. 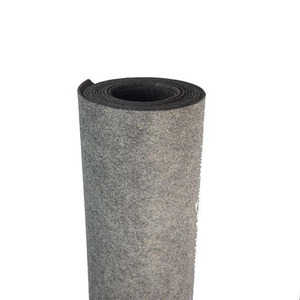 They have good function in sealing, sound insulation, thermal insulation, insulation and heat insulation. 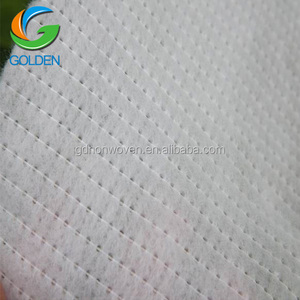 We also have four producing lines for PP and PET spunbond nonwoven fabric. Raw Materials Laboratory We have raw material labor to test the fabric of your sample. Q How many styles for my select9 Many types for your choose or as per customized. 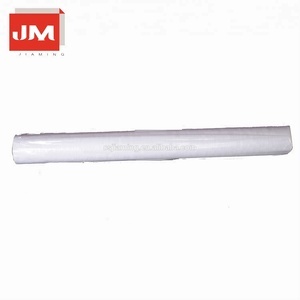 Laizhou Jiahong Plastic Co., Ltd.
Huizhou Aifeili Industrial Co., Ltd.
Q:Do you charge the sample9 A: Samples in stock can be offered free and delivered in 1 day and courier charge will be paid by buyer. Any special requirements to make a sample, the buyers need to pay appropriate sample charge. However, the sample charge will be refunded to the buyer after formal orders. 3. How can I get a samples9 Please give the exactly specification to us,we can according to your specification offer the best price to you. 4. How can I get the price9 We must check your sample quality,you can send sample to us bu express or send sample picture to us check. 5. 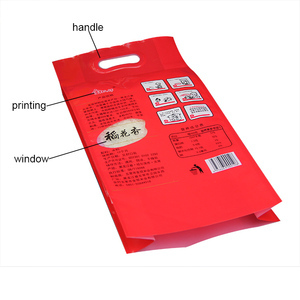 How do you check quality9 You can send sample to us,we will according to your sample and send our sample to you check . 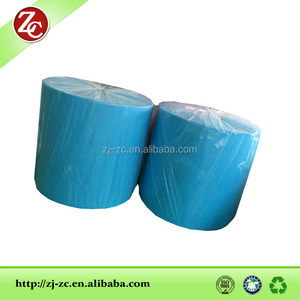 Guangzhou Yubo Machinery Technology Co., Ltd.
5.Non-woven post-processing, including hydrophilic, whitening treatment and other special features. 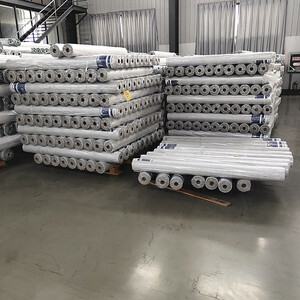 More than 12 years' professional manufacturing and export experience in Nonwoven Fabric, we are able to meet the requirements of our customers from more than 40 countries. 6.Raw materials are purchased from well-known large-scale supplier abroad to ensure the quality. --3. Protection of your sales area, idea of design and all you private information. Here over 10 years professional experience will let you have better understanding about our products. If buyers have any special requirements,they need to pay the sample charge before shipping. 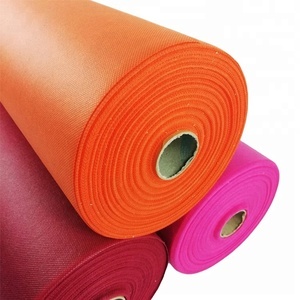 Alibaba.com offers 17,972 any woven material products. 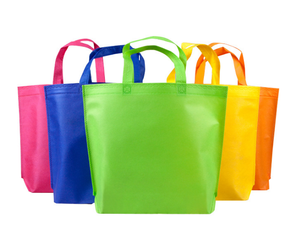 About 17% of these are bag fabric, 15% are 100% polyester fabric, and 1% are packaging bags. 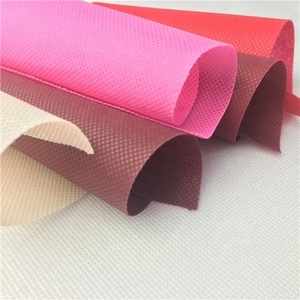 A wide variety of any woven material options are available to you, such as gravure printing, aqueous coating, and flexo printing. You can also choose from free samples, paid samples. 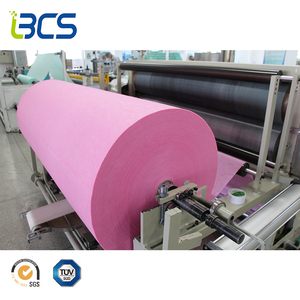 There are 17,975 any woven material suppliers, mainly located in Asia. The top supplying countries are China (Mainland), Pakistan, and Vietnam, which supply 98%, 1%, and 1% of any woven material respectively. Any woven material products are most popular in North America, Domestic Market, and Western Europe. You can ensure product safety by selecting from certified suppliers, including 4,773 with ISO9001, 2,899 with Other, and 1,772 with ISO14001 certification.